The town has a very relaxing "rural" atmosphere which is great to soak up but if you feel like being more active then there is heaps to do. 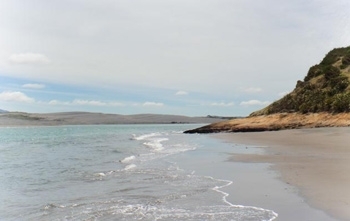 You could soak in a hot springs pool you dug yourself on the edge of the west coast surf beach, or catch the fish of a lifetime either from the shore or "over the bar" in one of the charter boats. Beach and harbour walks, harbour cruises, horse trekking, round of golf or taking a kayak for a paddle - there is something for everybody here. Kawhia is also a harbour that is steeped in both Maori and European history. A short walk from the camp will lead you past both historical early settler buildings and ancient sites significant to the Tainui tribe. 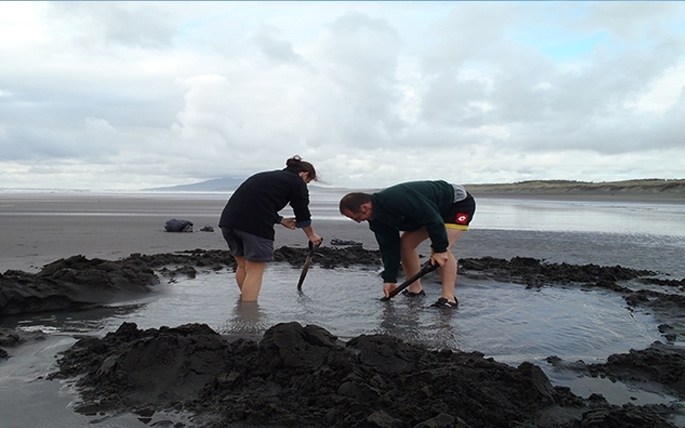 Just four kilometres up the road from the camping ground natural geothermal water of 45ºC bubbles up through the black sands of Ocean Beach. 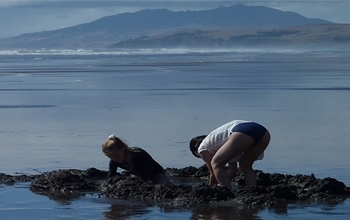 Digging your own hot pool in these sands is a must when visiting Kawhia. The springs are uncovered by the sea 2 hours either side of low tide. Ask at the camp office for the best times and for directions on how to find them. 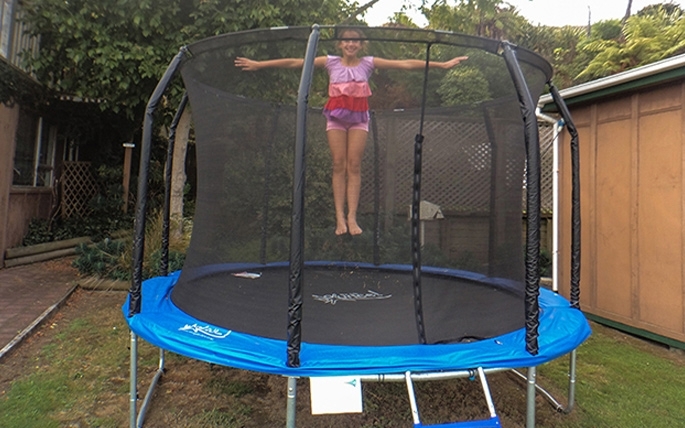 We will also supply you with free shovels so you can make your own DIY hot pool when there. Harbour walk: 2hr return. From the camp turn right and walk along the black sands of the harbour to the heads. A surprisingly scenic walk. Ocean Beach: 3hr return. 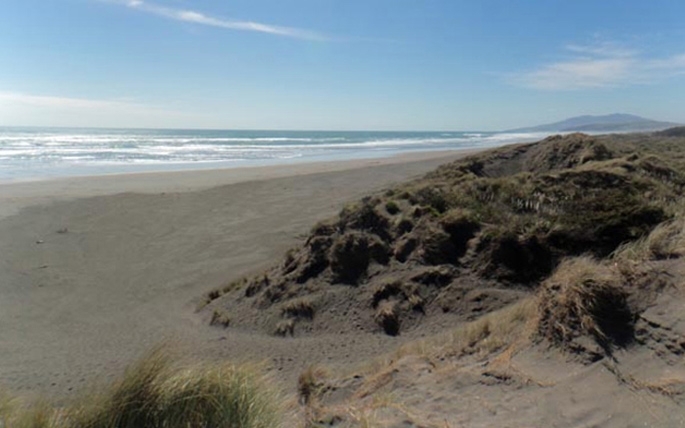 Wander along the rugged west coast beach where the only footprints in the sand are your own. Aotea Harbour: 1.5hr return. Kawhia's "Sister" harbour is only a 15 minute drive away. 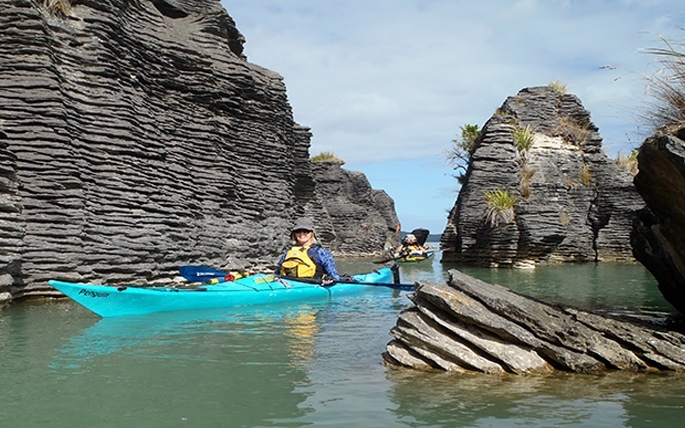 Discover unique orange sandstone reefs with ancient tree trunks and massive black sand dunes. 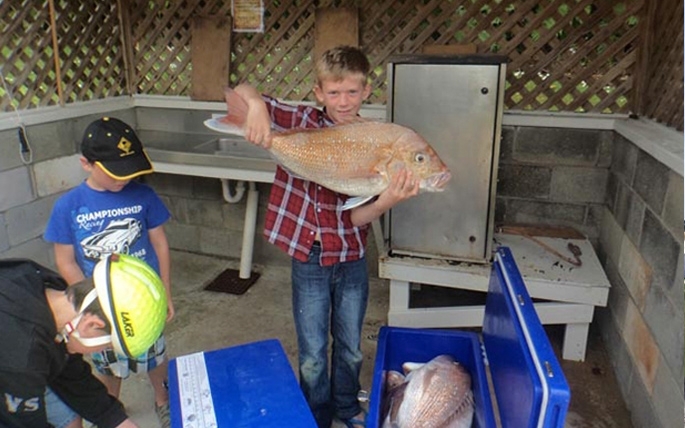 Both the harbours and the sea around Kawhia are renowned for both the quantity and quality of the catches. 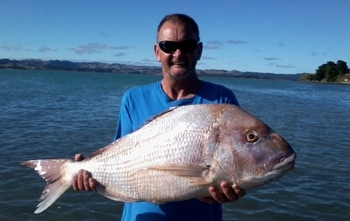 Both harbours offer great opportunities for casting a rod for a feed of Snapper, Trevally or Kahawai. 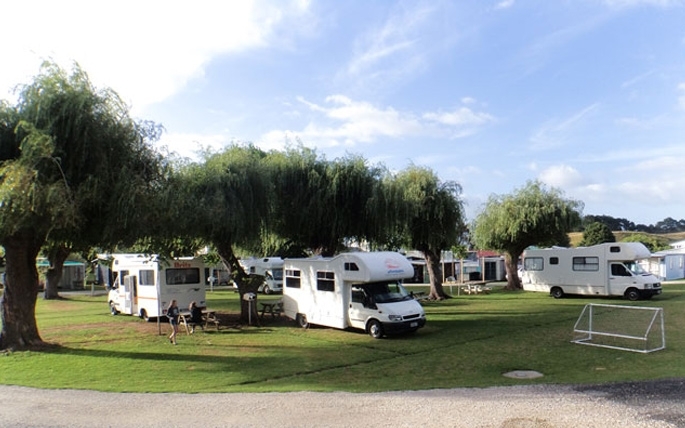 The camping ground staff are happy to advise you where the best spots are. If you have your own boat then crossing the harbour bar (for experienced skippers only) will see you catching your limit within a few hours. Alternatively, if you don't have a boat then there are a couple of fantastic charters based in Kawhia that will ensure your success.